Wishing you a healthy and fulfilling 2017. Art by Lalie Sorbet at interstellART, Borneo Atoll. Merry Christmas to you, my readers. Whatever way of reflection and celebration is meaningful to you this time of year, may you be blessed. We want the same things, right? To live in a peaceful world where we and our loved ones have health and the opportunities to express ourselves and earn a fair living. For those who want respect and appreciation to receive them and for those who want their basic needs met to have them met. May we be able to look back on yet another tough and often discouraging year and see where some good things did happen and that we did rise to many occasions to give our best. May the coming year find more people waking up, moving more gracefully and with easier and faster processing than we did. May more become aware how archaic and passe that inflammatory speech, snark, disrespect and violence really is. May more be lifting their bowed heads up from their smart phones, looking around and asking themselves what new and better ways need to be created and how they can contribute. Thanks to my readers who “like” and comment on my posts and to my lurkers who come forward and give me appreciative feedback inworld. 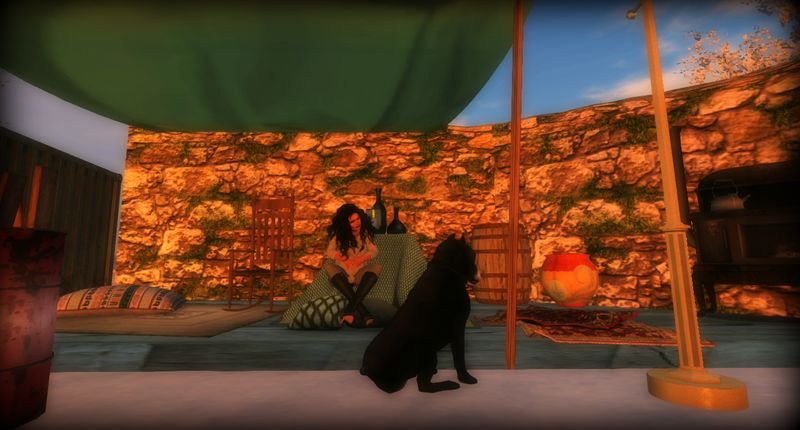 I enjoy publishing a non-commercial blog celebrating and sharing what some of our creative avatars are doing whether it be in galleries, exhibition sims or in the welcoming and interesting spaces on the mainland. 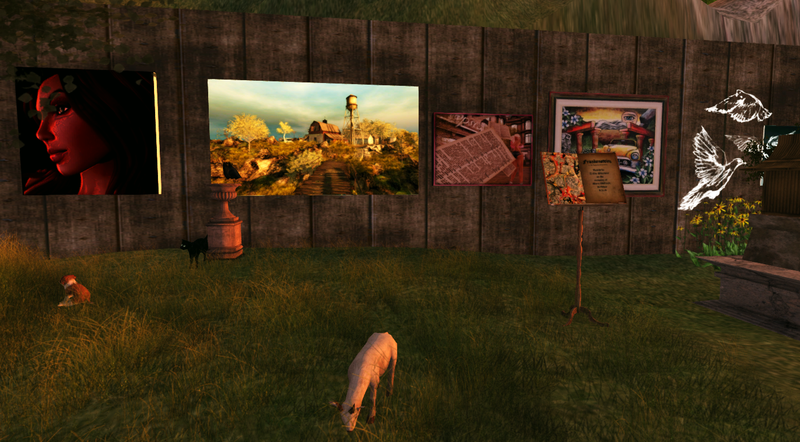 The photos were taken at The Cruelty of Peace by Lilia Artis at LEA 6 which remains open through the end of this year. 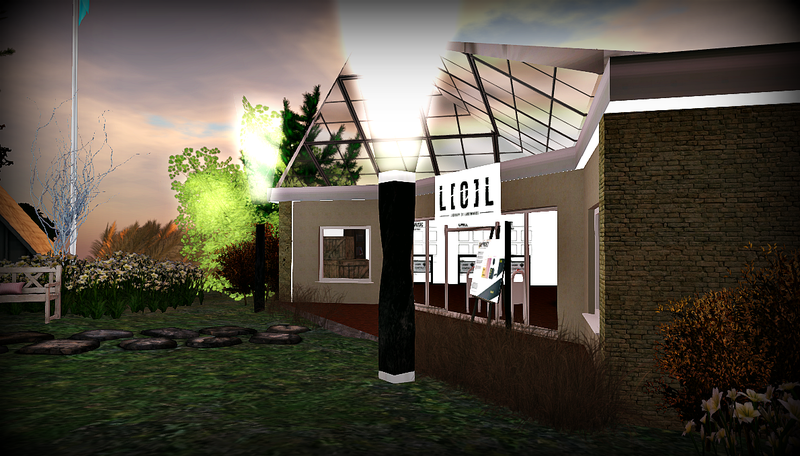 Between now and the end of the year, the very new Library of Landmarks, :: L [o] L :: is accepting donations; donors will have their name placed on a Patron Plaque. 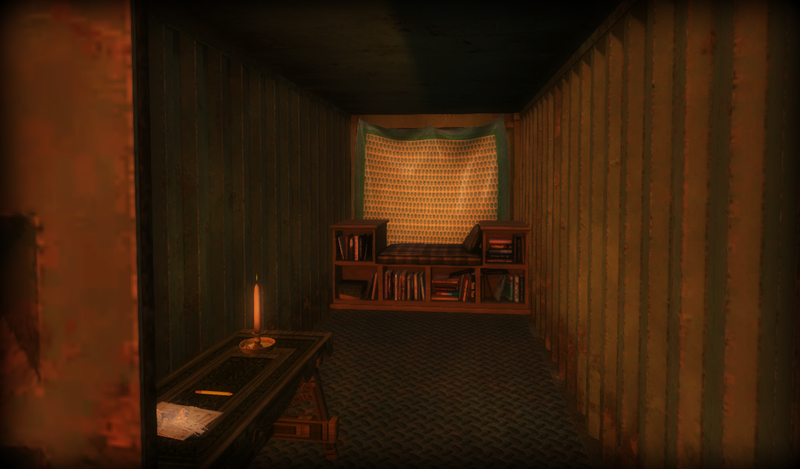 Located in Wyrd on the continent of Satori, the library has been a dream of Saul Goodie’s for a while and just recently seemed to spring up in a brief amount of time. Of course, donations will always be appreciated after that; the Patron Plaque deadline is the end of the year. “Thank you for visiting the Library of Landmarks, a public project created and curated by Saul Goodie. 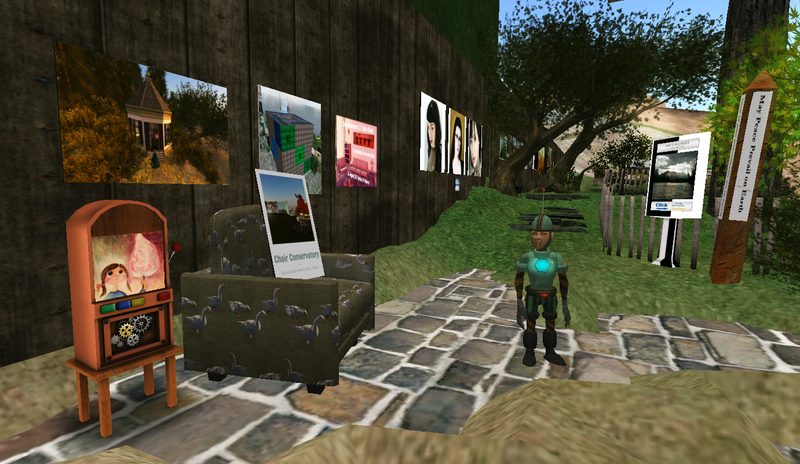 The mission of this library is to collect, organize and feature quality locations from across the Second Life grid. “If you feel you have a Location worth admitting to the Library, please attach the Landmark to a notecard with an explanation and drop in the Suggestion Box on the Library Front Desk. We encourage submissions of all types, even if they do not fit the displayed categories. 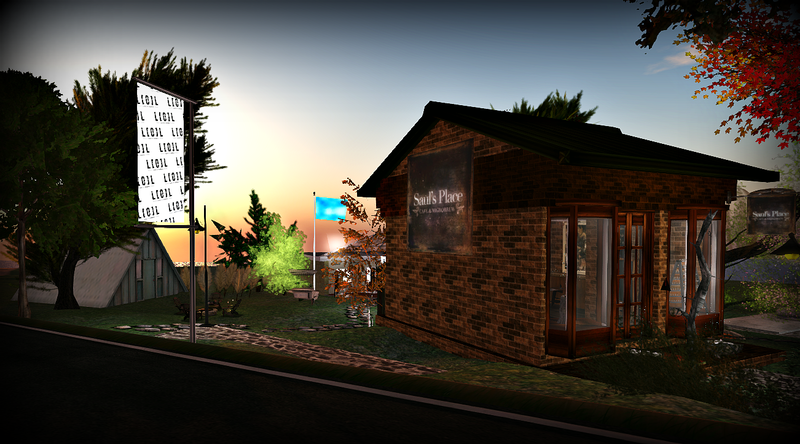 The library is next to Saul’s Steampunk Cafe on Route 8B. 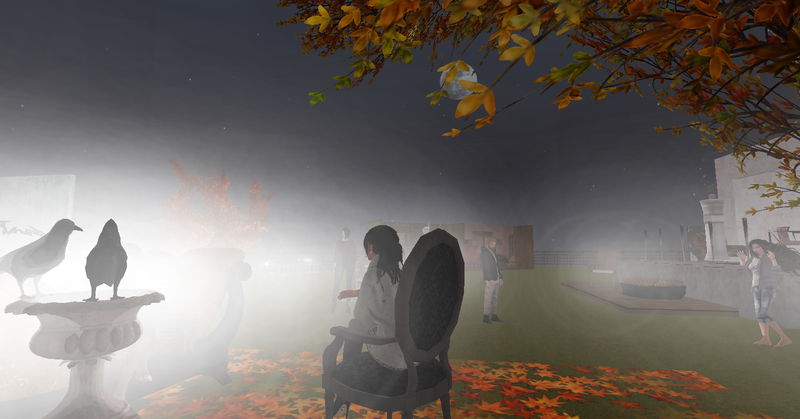 The Chair Conservatory, an exhibition on a sky platform in Sedge on the Atoll continent, has been used as a set for a music video. The chair project grew out of a casual conversation about inventory, collections and creative expression being the right of everyone who so wished. 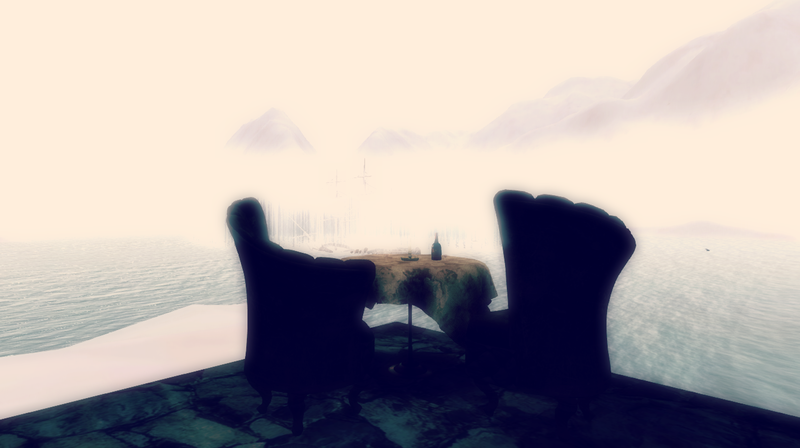 Simply, chairs from a couple of inventories were rezzed and settings were made to show them. It was amusing and fun to work on. A Sitting Party had been planned for what turned out to be a difficult week in the U.S. after a harsh and draining season. Some of us carried on. 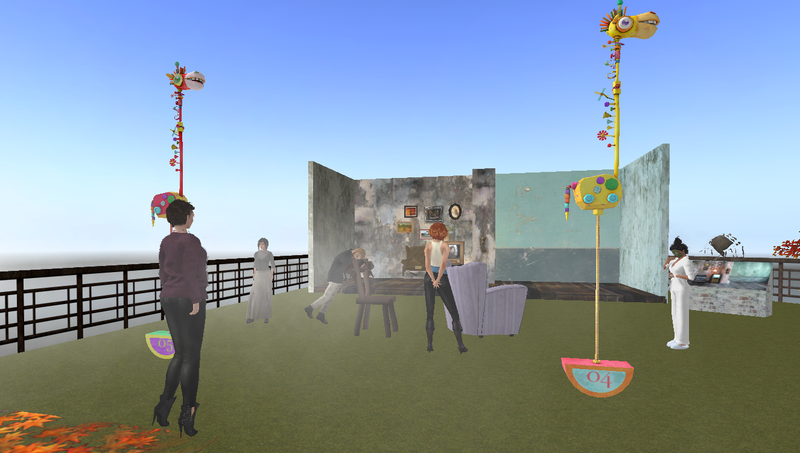 Avatars were encouraged to wear costumes and snap photos. A project like this is something almost anyone can do, not requiring a lot of time and hours and hours of learning software. Some people have lots of lamps. Some collect animals. 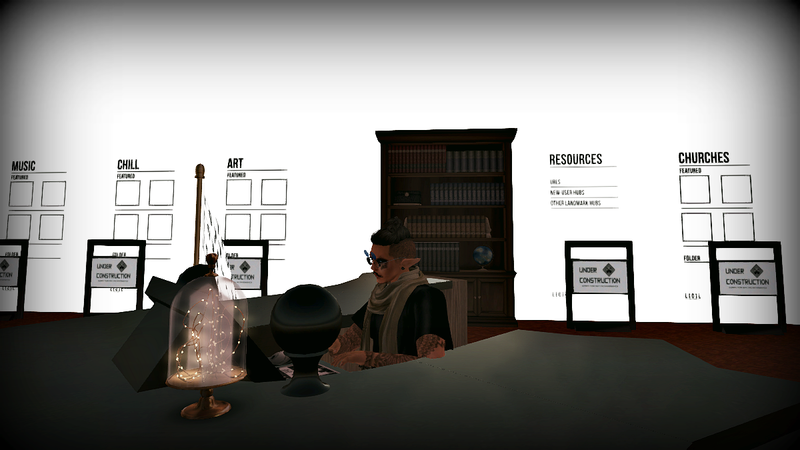 Auto return was turned off for a while and avatars rezzed favorite and/or silly chairs. I made a 4:07 slideshow of the Sitting Party. The Chair Conservatory is still open with sets changing from time to time. The public are welcome; photography and filming encouraged. This is a reminder that continuing through the end of December, The Joy Formidable by Livio Korobase can be found on the ground level of Berg by Nordan Art. You can ride paper airplanes, pose with cats and slow dance with a friend. 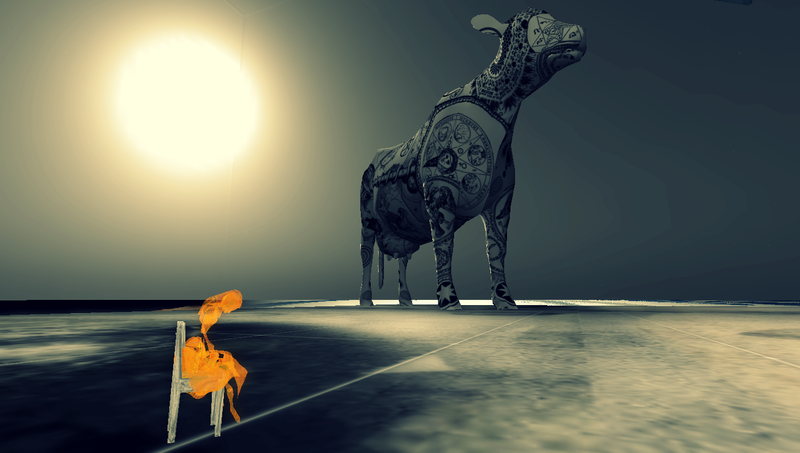 There’s a teleport sign near the SLurl landing from this blog up to the gallery to view L’avion en Papier by ◦⊱ Mi ⊰◦, also closing at the end of this month. The audio stream is a beautiful balance to much of the noise and music out there at this time. 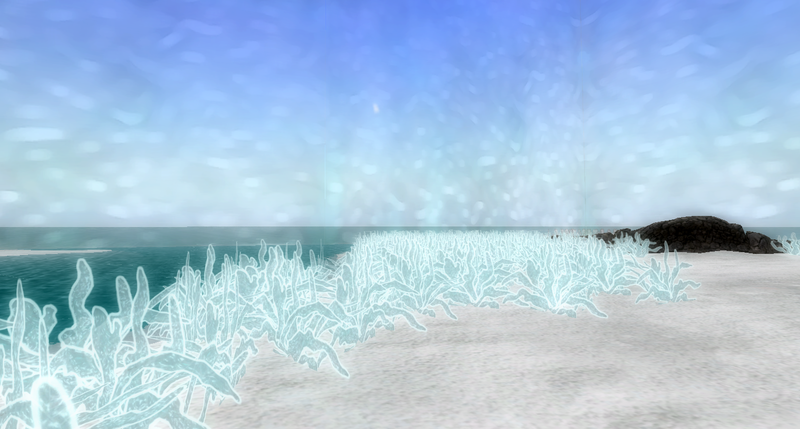 Along the roadside on Route 8B in Erzulie on the continent of Satori are some wooded areas. Sojourner’s Ground is a peaceful rest area and retreat. 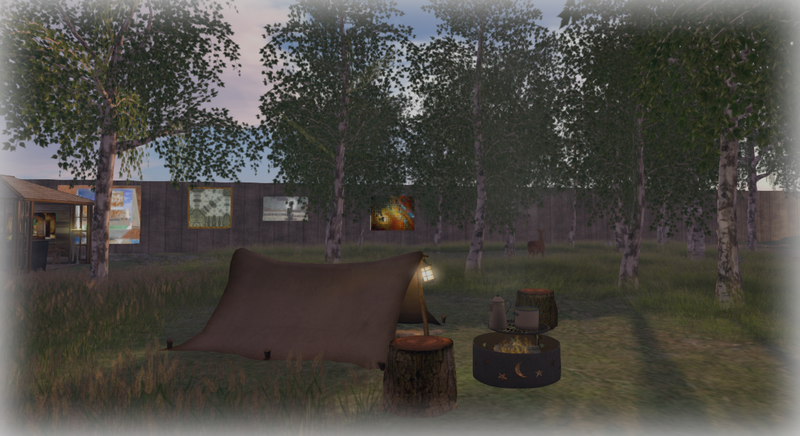 There’s a campsite among the white birch trees. Erzulie is the Vodou Lwa of love and women. There’s a diverse range of information about her online. An altar focusing on healing and positive aspects to honor her has been placed on the land. There’s a water feature and pool which is a lovely place for sunrises. 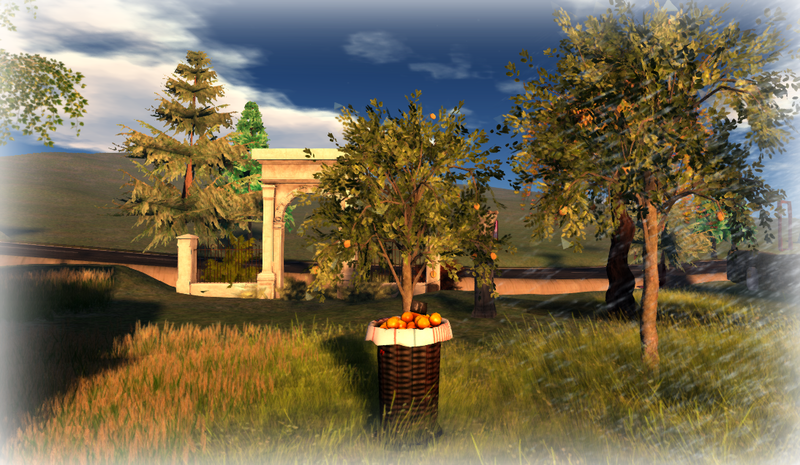 Sojourner’s Grove has a small orchard of lemon and orange trees. There are benches outside the orangery for watching sunsets. Fortunately the new neighbor, in the spirit of respecting the surrounding area, has planted wildflowers and provided more seating, leaving the view unobstructed. 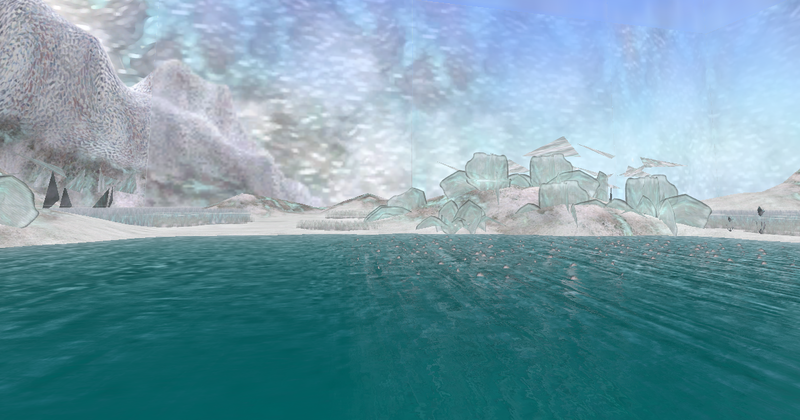 When even more chilling is needed, there’s a sky pool with underwater seating accessed via teleporter which isn’t too difficult to find. Recently I’ve stopped by -L e r o y- a couple of times. 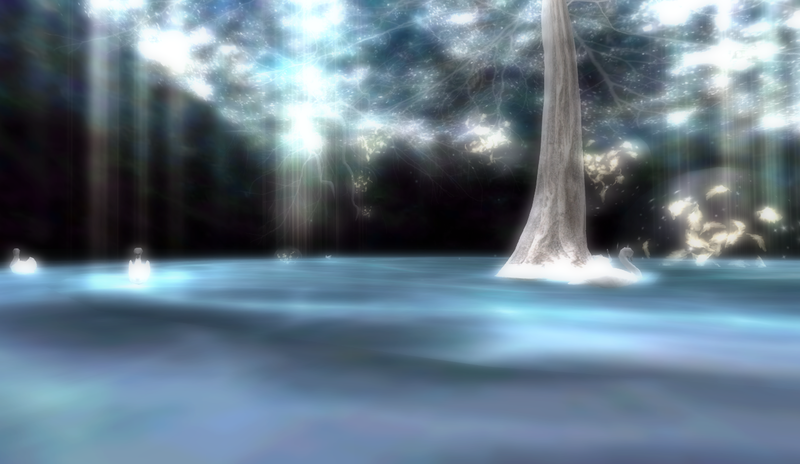 It’s a dreamy place to linger instead of hopping around exploring. 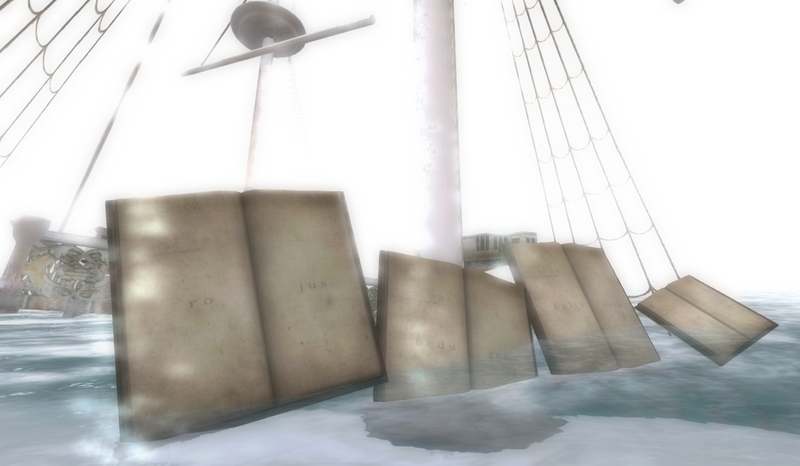 At the watery landing, there are four teleporter books. I checked the mini map to make sure there weren’t others on the sim at the time. There are three soft light infused areas for dancing. 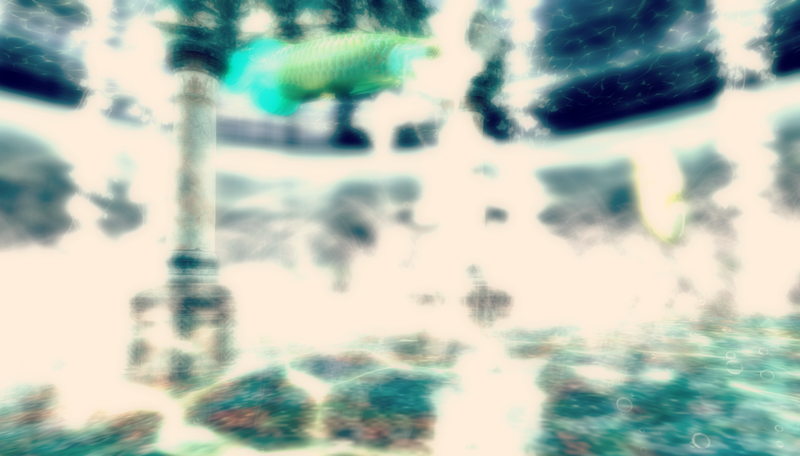 The second area you step off a small platform into a softly colored, watery world. 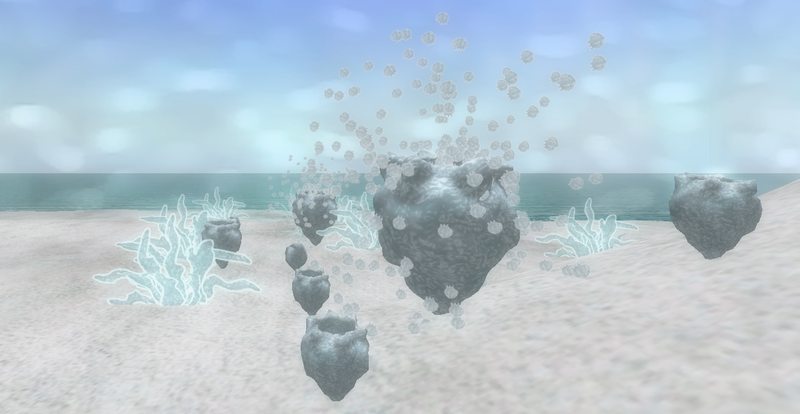 The third “bubble” contains a magical looking snowy scene. My favorite area is the restaurant. It’s an intimate setting with carefully selected art. There are three seating areas, two tables inside plus the one outdoors shown in the top photo. 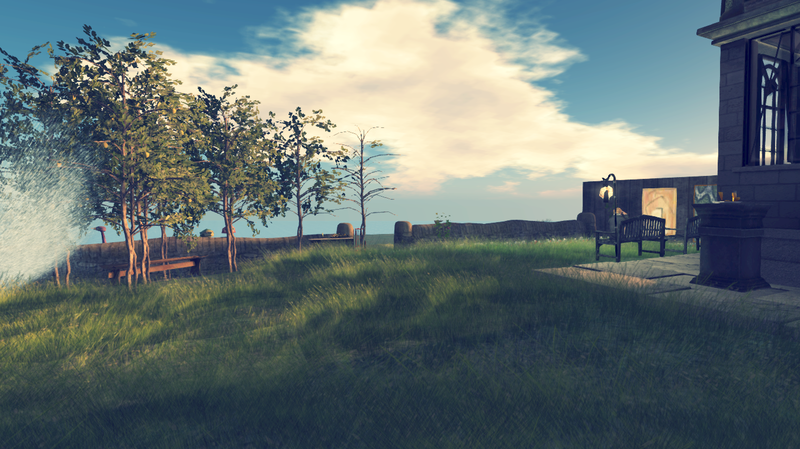 The 1120 sq m parcel, Art STIM, is located on the side of a sheer hill overlooking the Uli Peninsula on the subcontinent of Sansara Volcanic Sims. 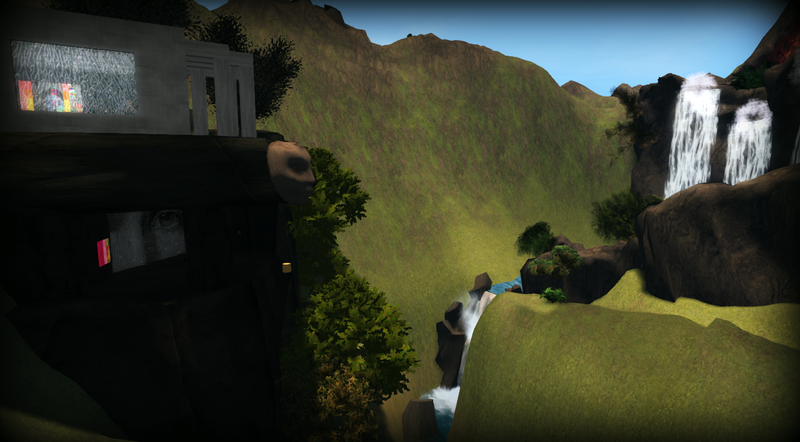 The open cave in a huge boulder, with a view of waterfalls and Mount G’al, is a quiet place to do some work or talk. A gallery is situated on top of the boulder. “This is the largest of all volcanoes and probably the oldest of all. 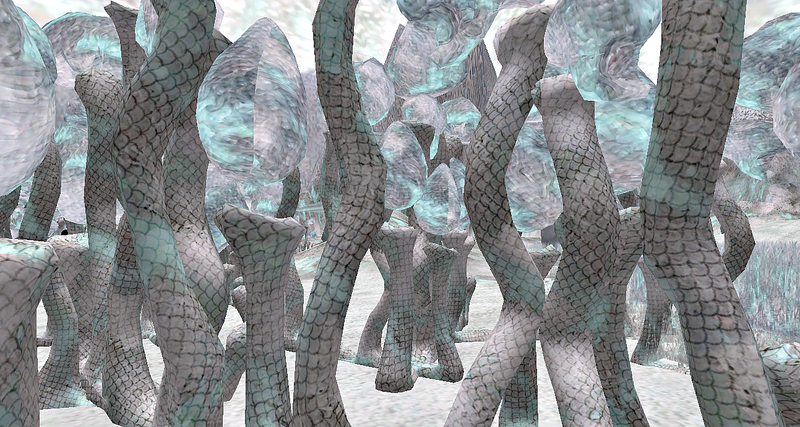 It lies in Sansara, inside Mahulu sim (but also stretches into nearby sims). Maximum altitude rises to 179 meters, making it higher then many other continents. Its cauldron of liquid lava is large and dangerous. Do not try to enter there, it is deadly. Health drops instantly from 100% to 0%. The cauldron is asymmetric, with a higher peak on one side, a great spot for photographers. From the other direction, lava is flowing down the cone, creating two rivers of fire, that in the end merge and enters back into the volcano to be reheated. 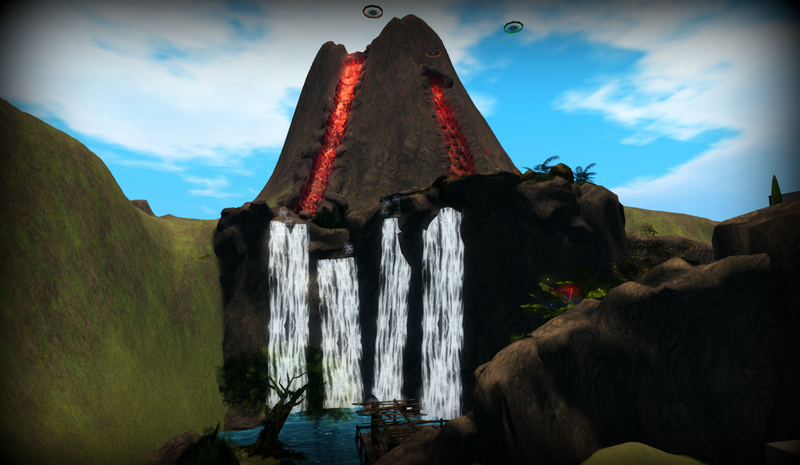 The discs seen in the photo around the volcano are Skydancers made by Spotlight Promotions. The river and the waterfall area are accessible to the public; there are some banlines about. 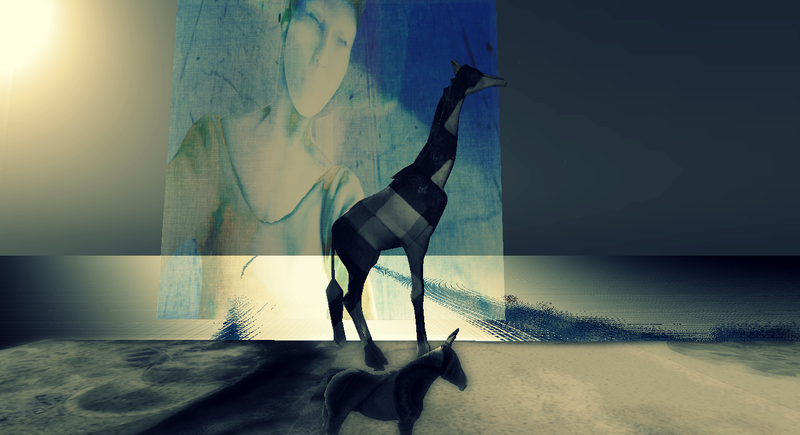 The gallery holds a collection of of 2D and animated 2D works from Art Oluja’s Metamorfaces, an LEA sim the second half of 2015. We’re pleased with the art on exhibit at Wanderlust Bench Art Park and Cafe for November and December. 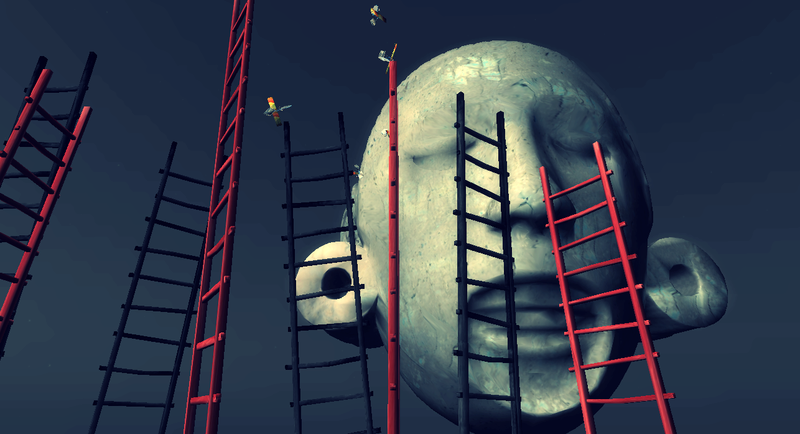 If you’ve not visited since after mid-month November, there have been additions and several artists have rezzed new pieces at the beginning of this month. 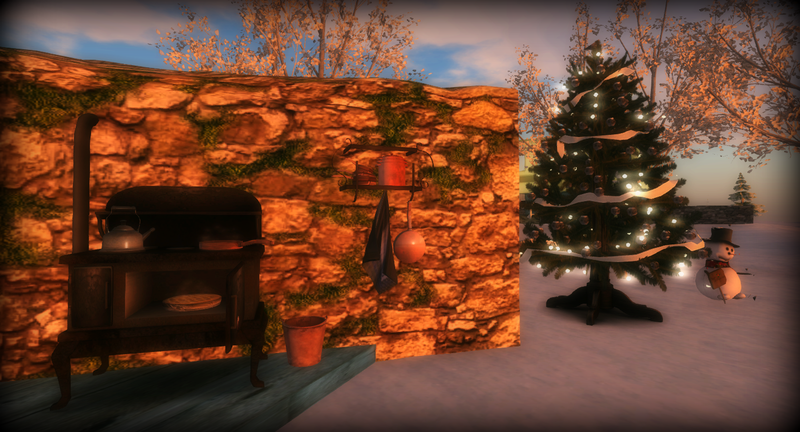 After we got the additional prim allowance, which makes a big difference in small parcels such as this, a large birdhouse was added to give more wall and installation space as well as providing a cozy hangout. 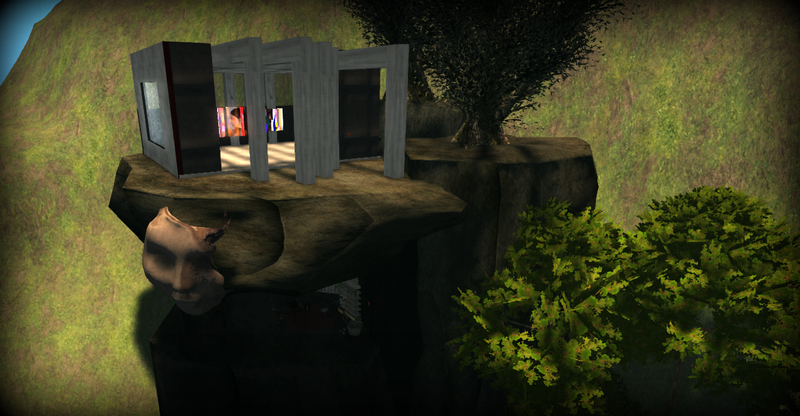 The birdhouse with its two levels can be accessed via teleporter. Jade, an animated cylent by Art Oluja, is currently installed here. 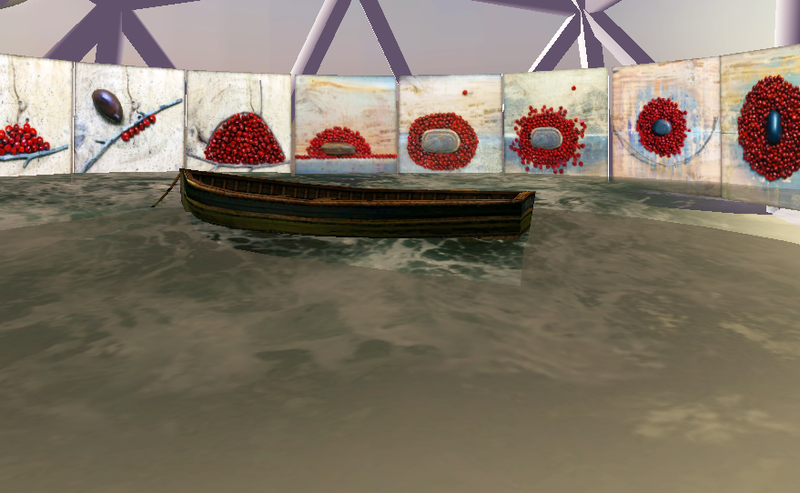 On the Cafe side is Decayed Maps, an exhibit of nine pieces by Klaus Bereznyak. You can click on the info notecard for the story of how the maps came to be. Over the Cafe is “Hive Horizon Shownight 12bit (Final)” referring to the club event at which it was first debuted and tested. 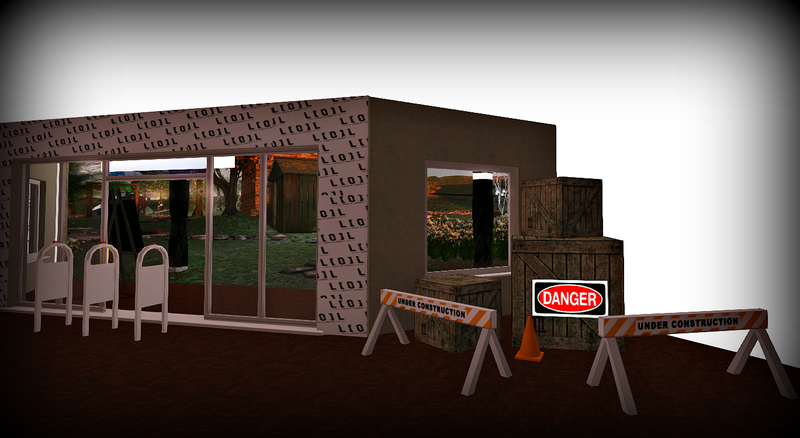 This one has about 30 textures in it which can be replaced by an owner for their club or event. 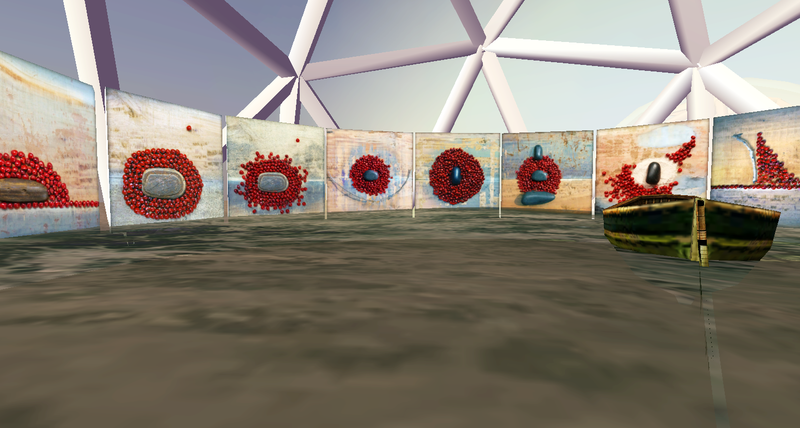 The hive canvas was made by Emma and the scripting done by Isadora Alaya. There’s a pre-loader in it and I believe it will be available for purchase eventually. I enjoy having it here, especially on midnight setting. 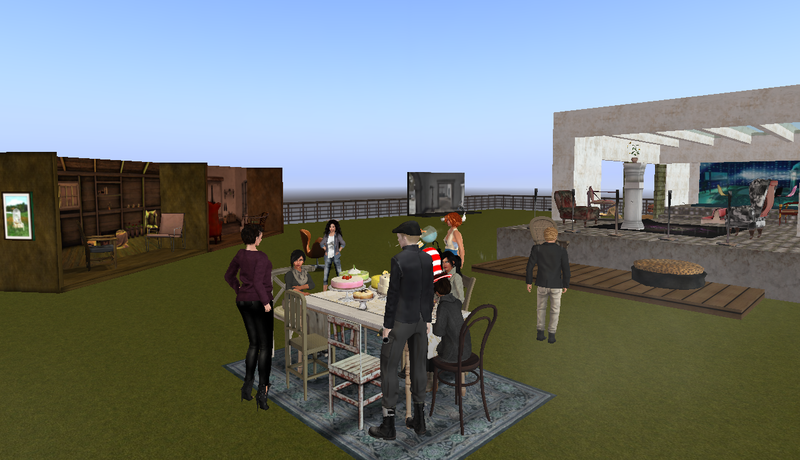 I invited Kimika Ying to rez a display model of her Babbage Go-Devil which I recently blogged. We enjoy having avatars visit the park. Some like to chat a bit and others simply to look around. Near the event posters is a chair with info and LM to the Chair Conservatory. 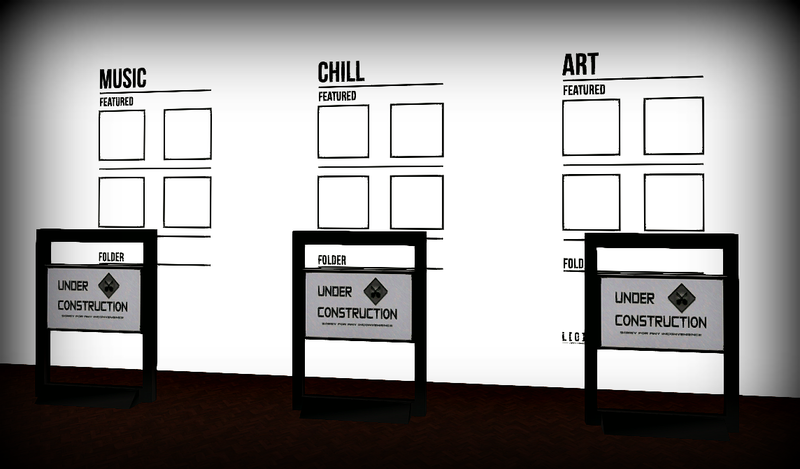 A gacha machine with art inside has been added. 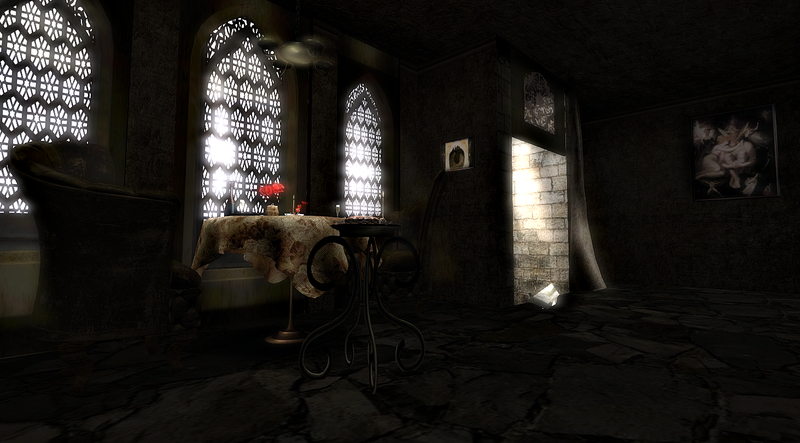 There are three digital pieces by Seraphim Placebo (Chris Attwell) plus an info card with LM to Seri’s Placebo Gallery. 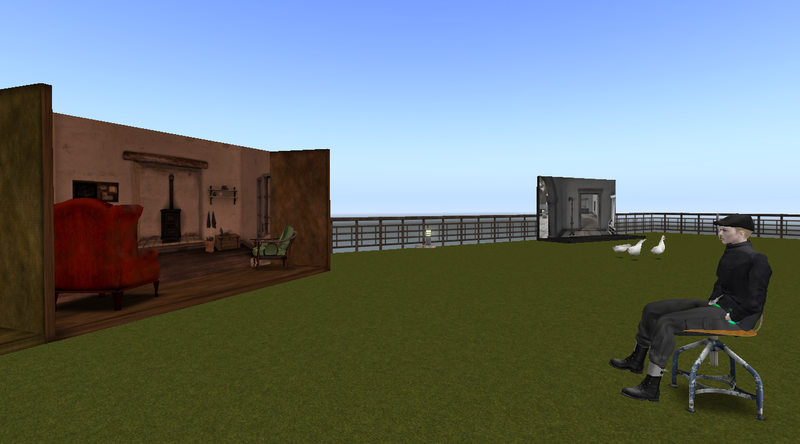 I got to see some of the WIP of these pieces on Chris’s blog. 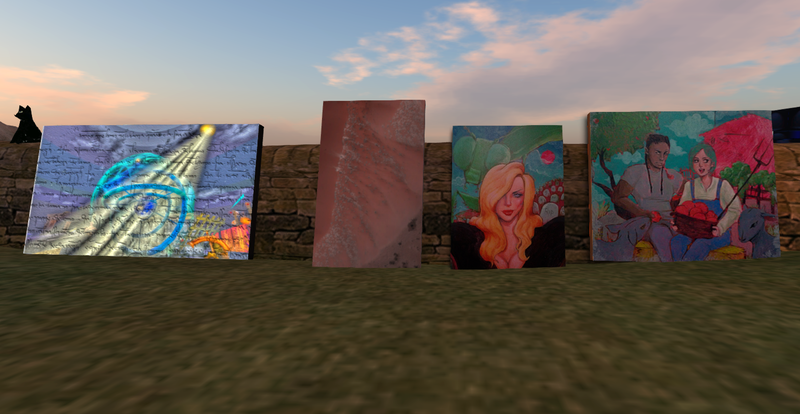 On the park side, left to right, is a note carded quote inside a piece by Klaus Bereznyak, a lovely photo rezzed by Kimika Ying and two Gridism art paintings by [a.e.meth] which are available for purchase. 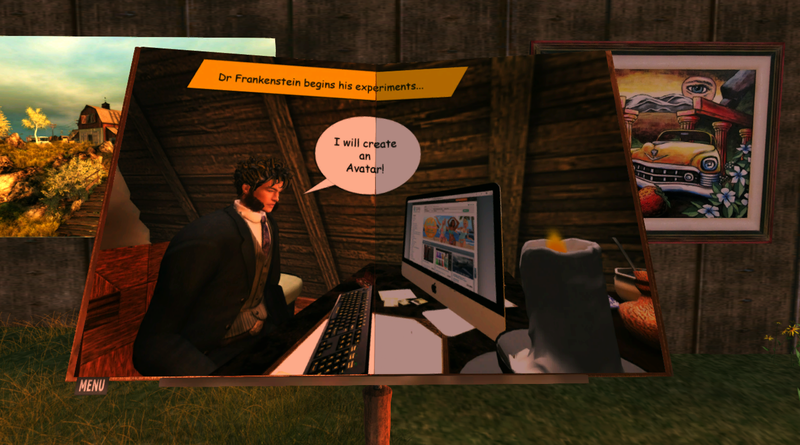 Not to be missed is a book titled Trilby’s Frankenstein. I rezzed my copy which I’d gotten as a party gift on the occasion of Mary Shelley’s 300th birthday on August 30th. The party was given by Trilby Minotaur. 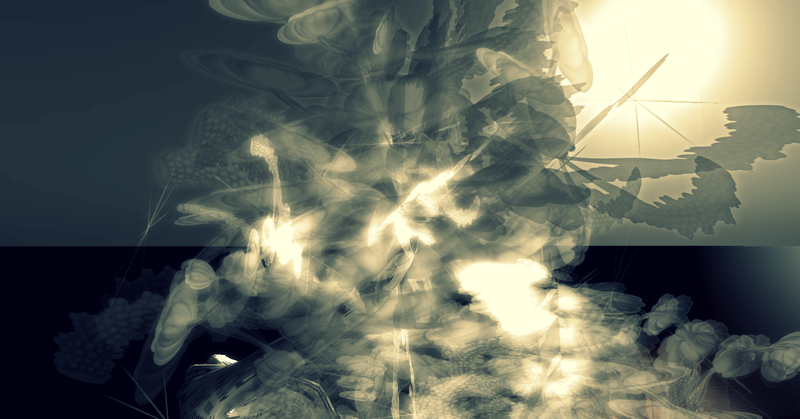 The party was fun; I made a 1:15 vimeo of the lab. My friends and I really enjoy the book. 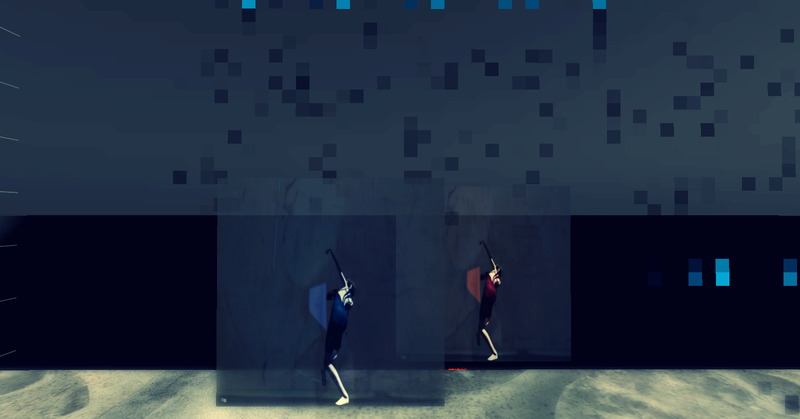 Fold screen section by Lynette Trinity, 2D art by Elle Thorkveld and baker Bloch. Myra Material Face by Myra Wildmist contains links to converting a photo to “materials” and Myra’s Flickr feed. 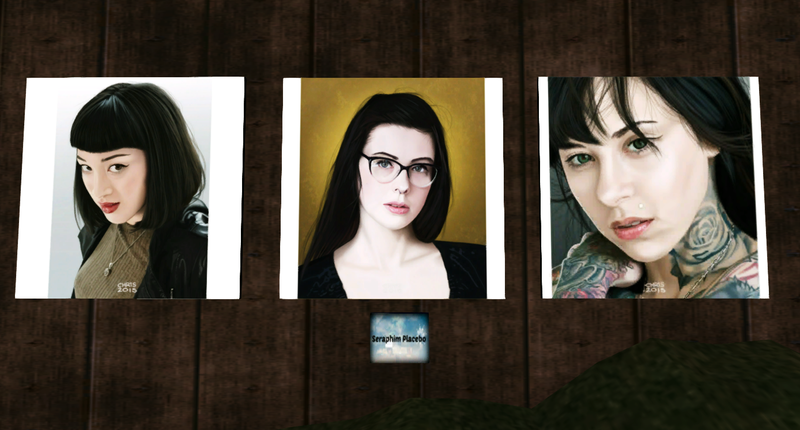 Photographs by ChryTeTox, Muse and art by Wheedle. The destinations are being updated as posters instead of framed photos. If you’d like to show your work, please contact Pearl Grey (pearlgrey resident) or Mr Kaplan (quinnleilani resident). 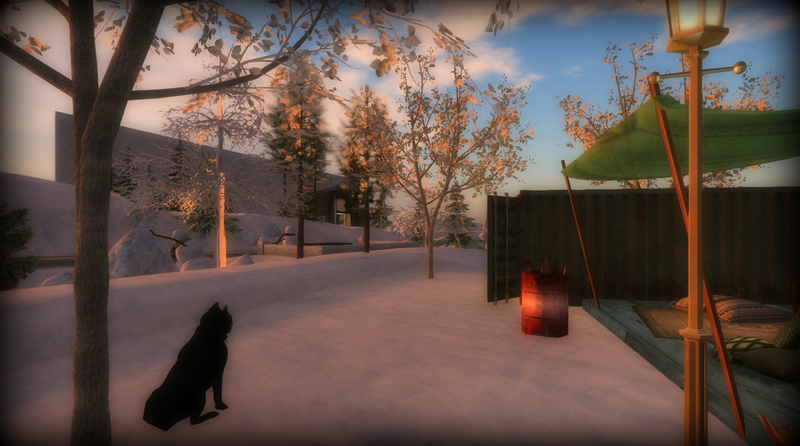 Cricket’s Comfort is a 512 plot in Jiminy off Amundsen Road in the snowlands of Sansara. There’s protected land between Cricket’s Comfort and the road. 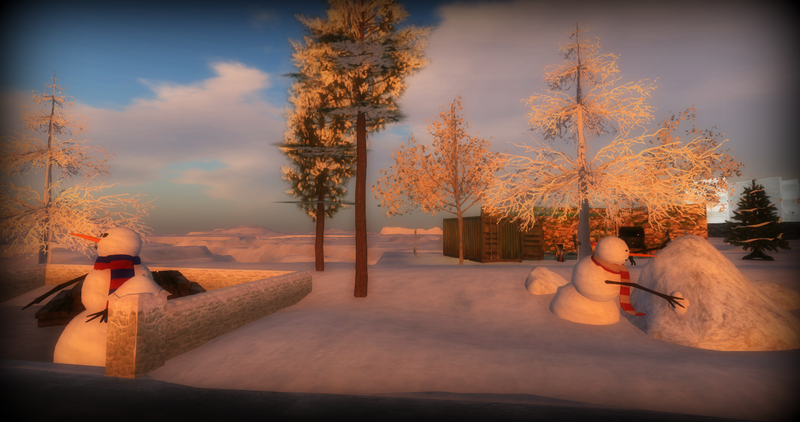 A rez zone and a couple of the snowmen from the Linden Department of Public Works are near the road which is in Scorze. 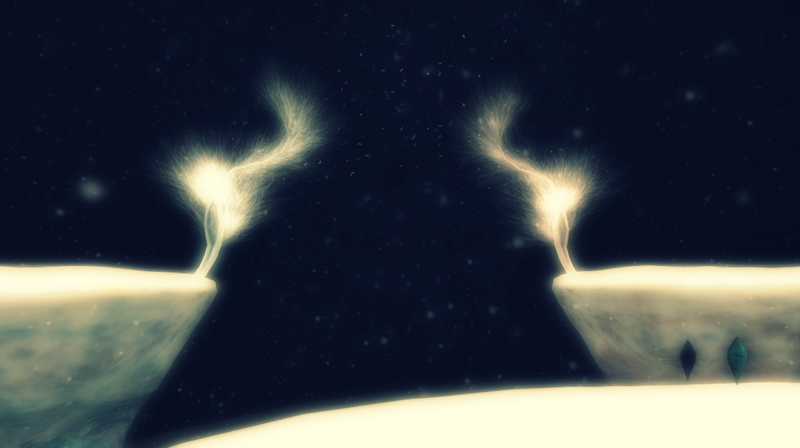 Pods go by in both directions. 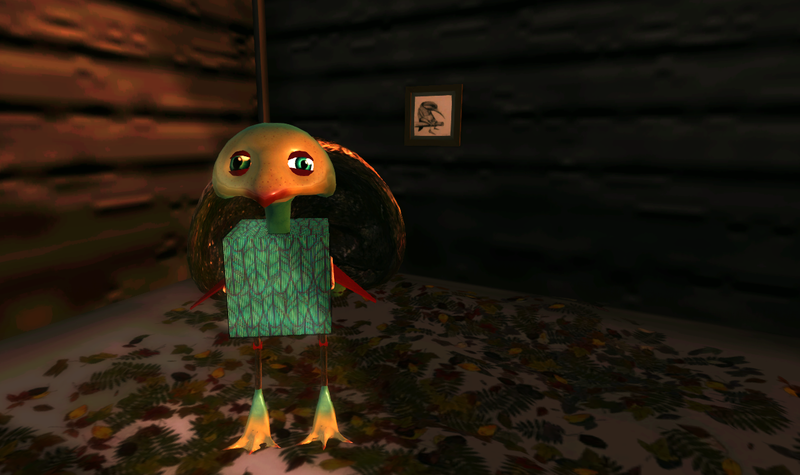 Boris, is a little old and clumsy and might shove you a little. He’s also sweet with a cute face. The nearby stove usually has something cooking on top and something in the oven.